Drawing on critical and theoretical work by Miller, Boone, Foucault, Jameson, and others, as well as cultural history, affect theory, and contemporary psychiatric literature, the author defines and explores what he calls the Victorian "conspiracy narrative tradition"--a tradition which embraces classic Victorian works like Bleak House, Great Expectations, Villette, and The Moonstone, as well as later Victorian and Edwardian novels by James, Conrad, and Chesterton, and early spy thrillers such as The Riddle of the Sands and The Thirty-Nine Steps. In reading these works as instances of a single literary tradition, the conspiracy narrative tradition, the author traces how the representation of conspiracy changes in nineteenth-century British literature and argues that many of these changes occur in response to significant Victorian-era developments, such as the European revolutions of 1848-49, the rise of British law enforcement agencies, the growth of Irish Fenian terrorism, and the fin-de-siAcle waning of the British Empire. 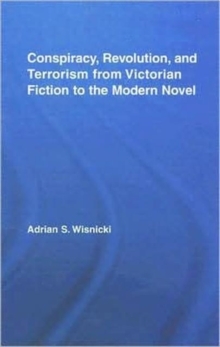 The book also explores the roles that conspiratorial indeterminacy and irony play in shaping the Victorian conspiracy narrative tradition and examines how modern works by Proust, Kafka, and Pynchon appropriate elements from Victorian conspiracy narratives. Finally, in using recent work on affect theory as well as studies of paranoia by Freud, Shapiro, and Meissner, the book traces how Victorian works fashion the paranoid subject, a discursive process that ultimately leads to the emergence of the modern fictional conspiracy theorist.